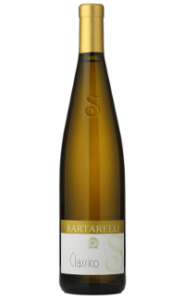 This sweet wine is produced solely from Verdicchio grapes picked at the end of October in the vineyard located in the Balciana district. The ruined grapes are removed from the bunches which are then put on drying racks and left to shrivel for about a month. The vinification process takes place in December and fermentation lasts from 35 to 40 days. 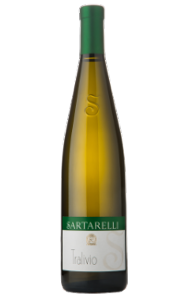 The refining process which follows is always carried out in stainless steel tanks like for all the other Sartarelli wines. Our yearly production of this wine is of about 6.000 bottles. 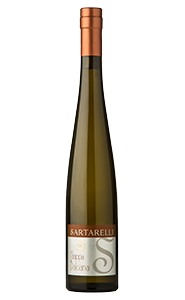 Sartarelli Passito is available in renana bottles of 500 ml, also individually packed in elegant gift boxes. 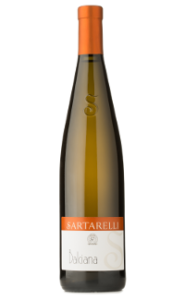 Some tips on how to combine Sartarelli Passito with food, but please never forget to follow your own tastes and preferences! 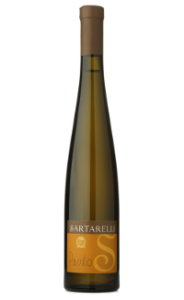 This sweet wine is delicious with blue and mature cheeses, even with fruit jams and with various desserts particularly almond tarts or almond biscuits. The match with dark chocolate is unforgettable. A wine for meditation and sweet company. Its translucent golden topaz yellow color introduces a sweet bouquet of aromas, a mixture of candied fruit and quince fruit, honey, saltish and iodate notes, loquat, but there is also a touch of spiciness, a breath of pepper, sultanas and liquorice root. 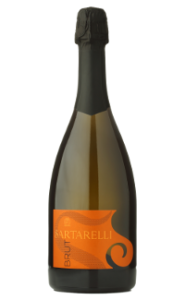 It has a complex but complete taste, which perfectly holds back the high alcoholic content thanks to its well-defined flavor, great sapidity and wonderful freshness. Not excessively sweet and with an intense persistence which leads to a lovely long almond finish.